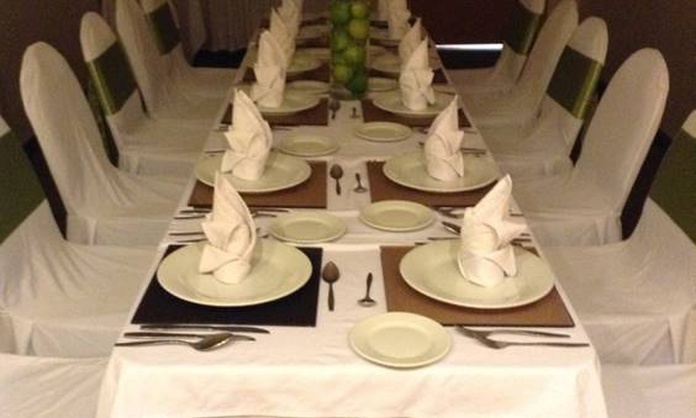 The Terranova Hotel represents one of the most complete accommodations for events in Coatzacoalcos. 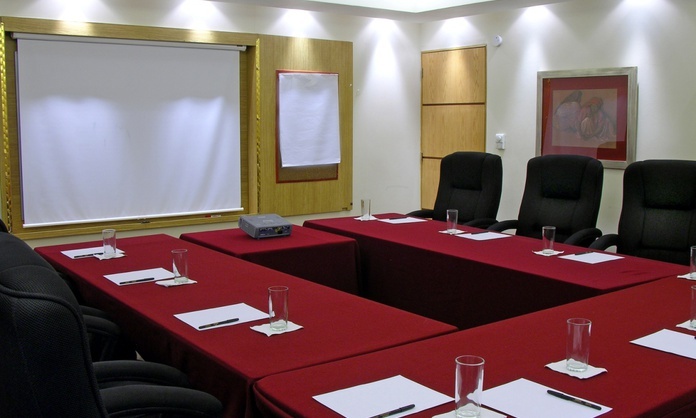 It has 11 versatile and fully equipped meeting rooms for business meetings or for the celebration of receptions, conferences, weddings and banquets. 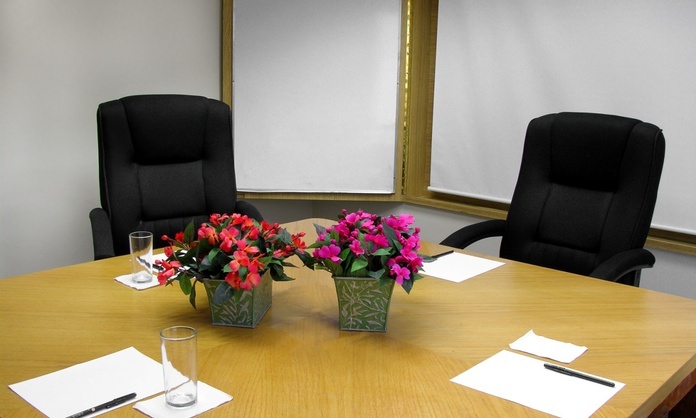 Besides, it offers personal counseling services. 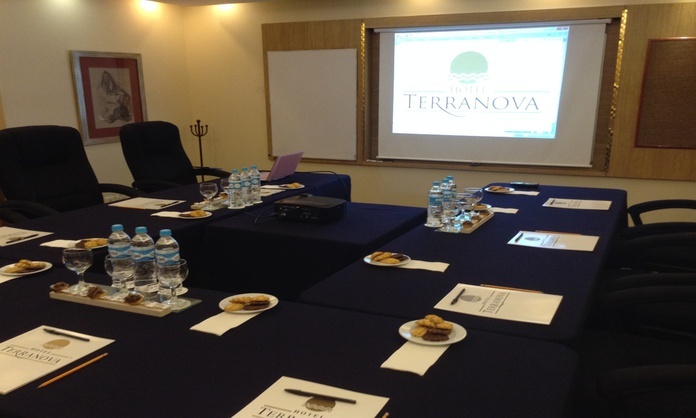 The meeting room Terra 1 is one of the 3 rooms of the Terranova meeting room. 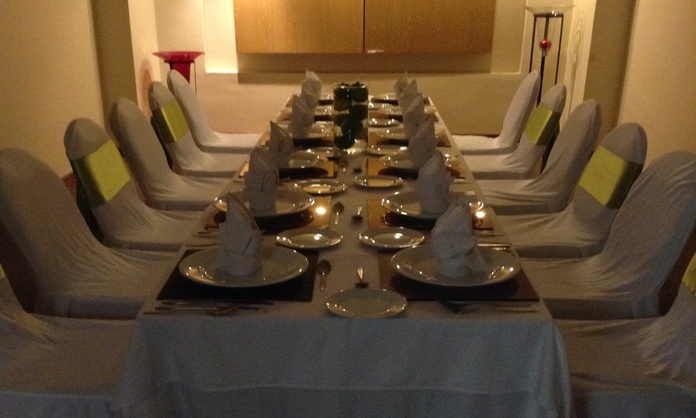 It has 100 square meters, natural light and state-of-the-art equipment. 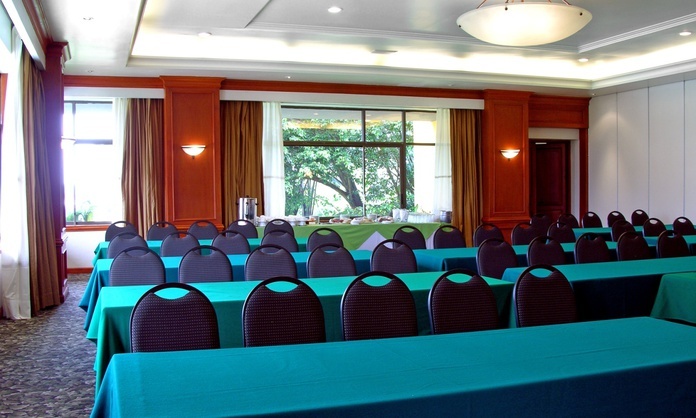 The Terra 2 is the second of the three meeting rooms of the Terranova room. 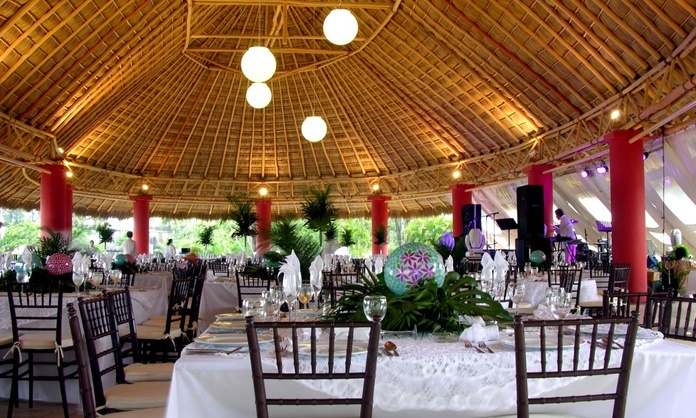 It features 112 square meters adaptable to all types of events and business celebrations in Coatzacoalcos, from conferences to training sessions. 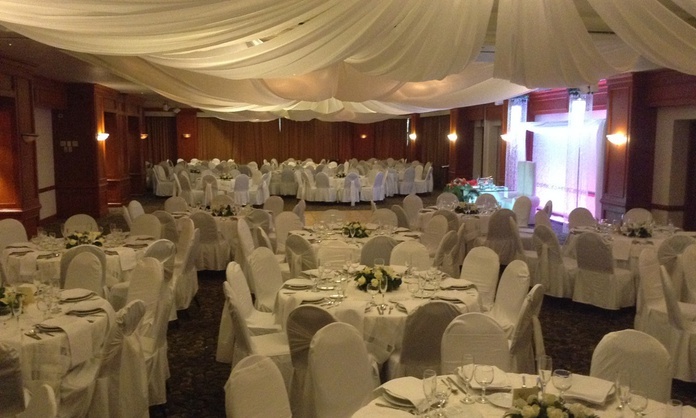 The Terra 3 is very similar to the Terra 2: it has 115 square meters and it is the largest room of the three rooms in which the Terranova room can be divided. 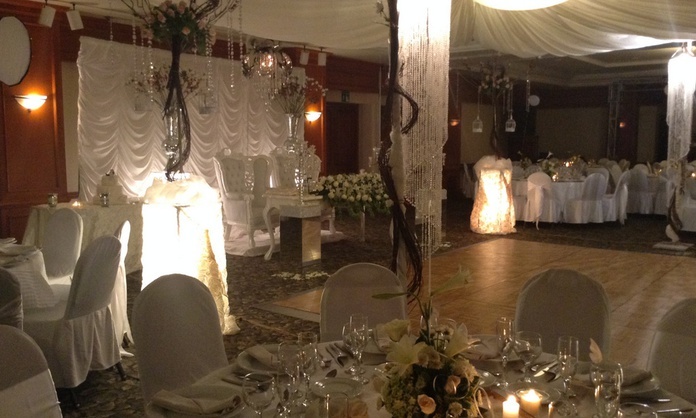 Maximum capacity: 160 people. 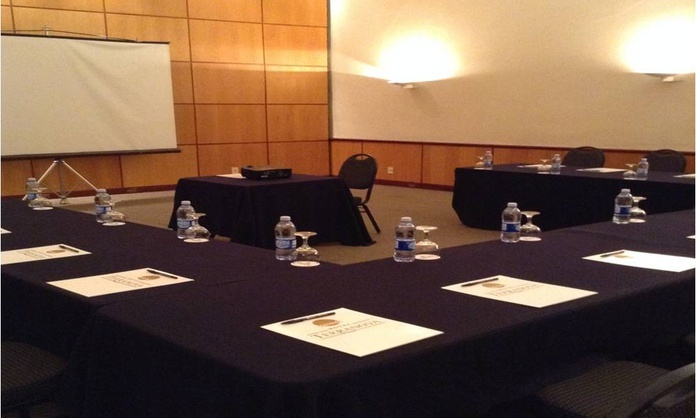 The Caoba meeting room is the perfect room for executives and directors meetings, business meetings or training sessions. 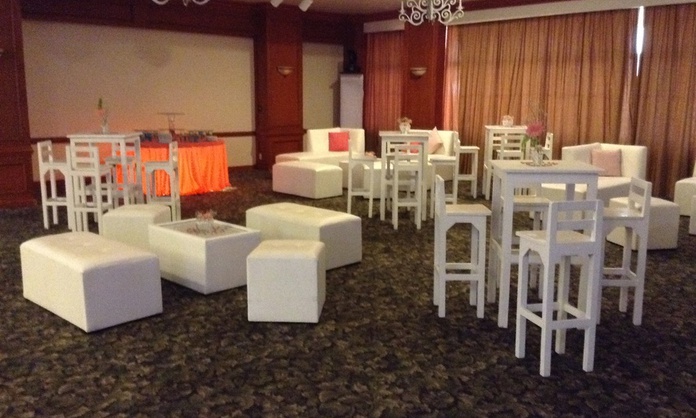 It features 70 square meters and a maximum capacity for 90 people in the reception or cocktail layout. 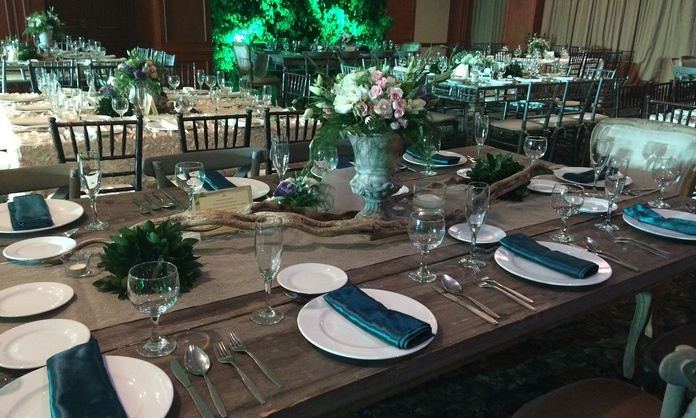 The Fundadores meeting room allows for the celebration of all types of events, except for banquets. 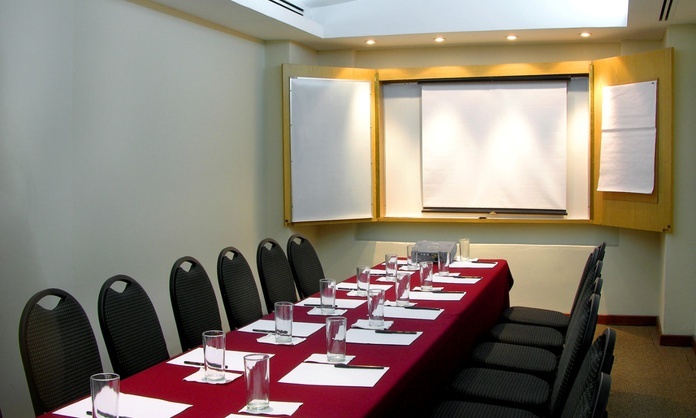 It is a 40-square-metre room ideal for executive meetings or training sessions. 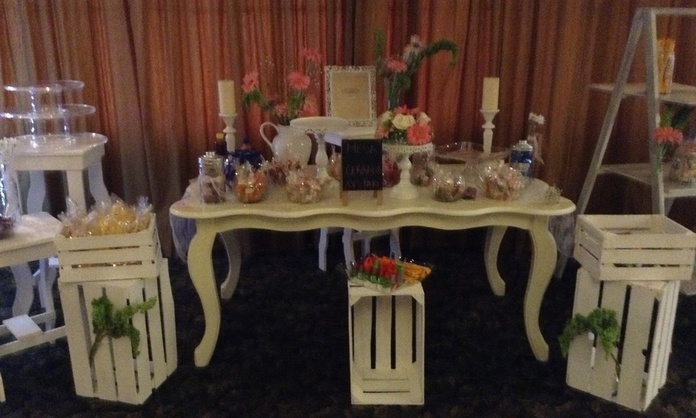 It features the best equipment and really functional furniture. 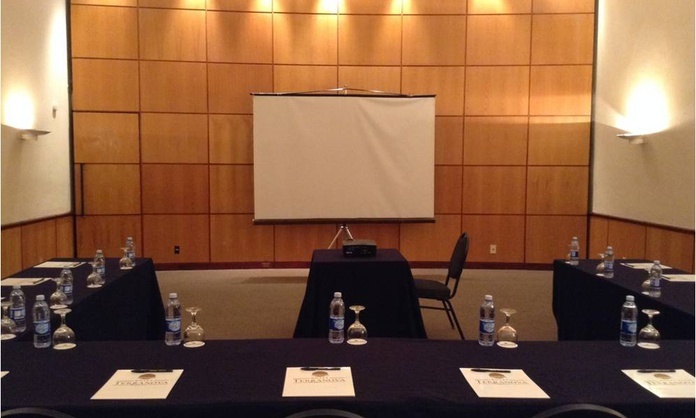 With 26 square meters, the Roble meeting room is ideal for small receptions, training sessions and conferences in Coatzacoalcos with a maximum capacity for 20 guests. 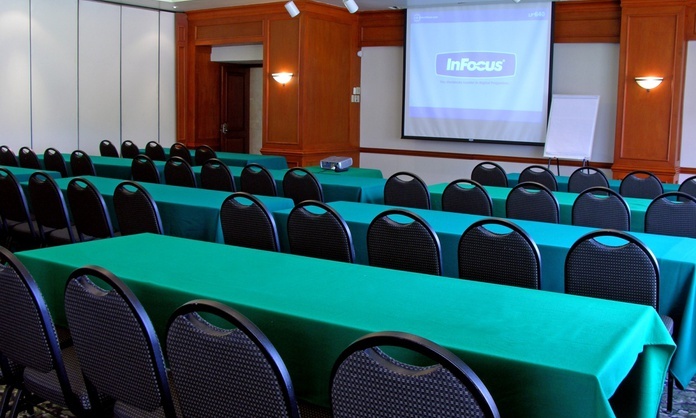 The Cedro meeting room, as the Roble meeting room, has 26 square meters of space ideal for the celebration of directors meetings in the imperial layout, training session and small conferences for 20 guests. 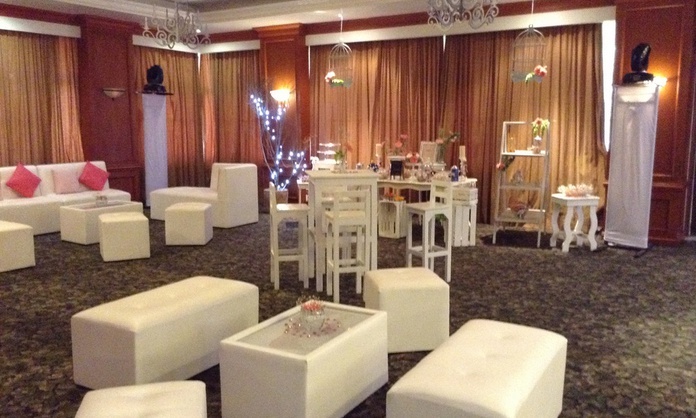 It is perfectly equipped to guarantee the maximum comfort and the success of your events. 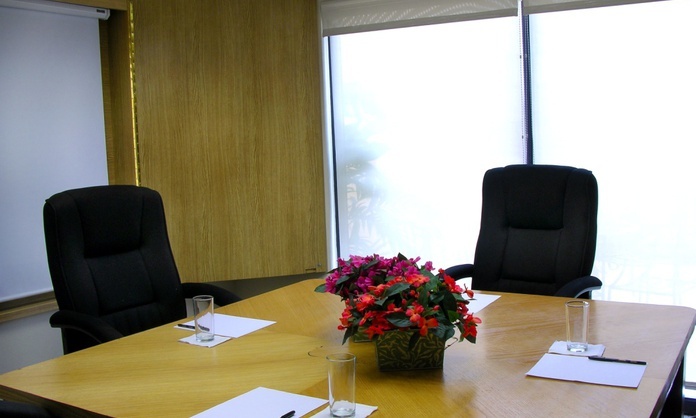 The Bambú meeting room is one of the most pleasant rooms for business meetings. 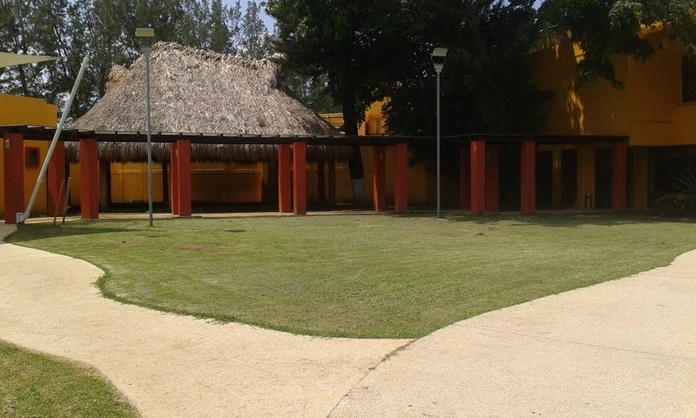 It has 16 square meters of space and natural light. 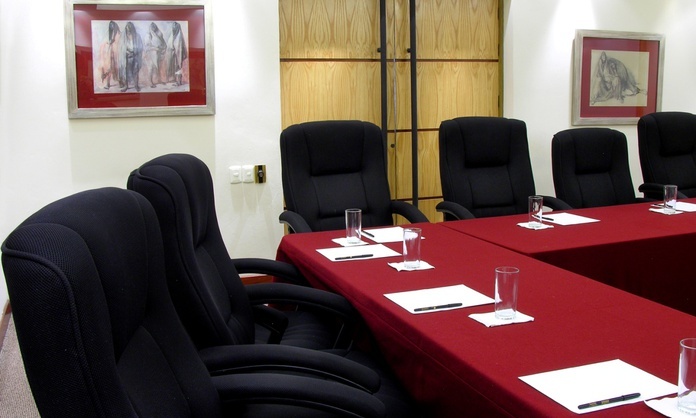 It is perfect for training sessions for the most important positions in the firm or for meetings and debates of high executives. 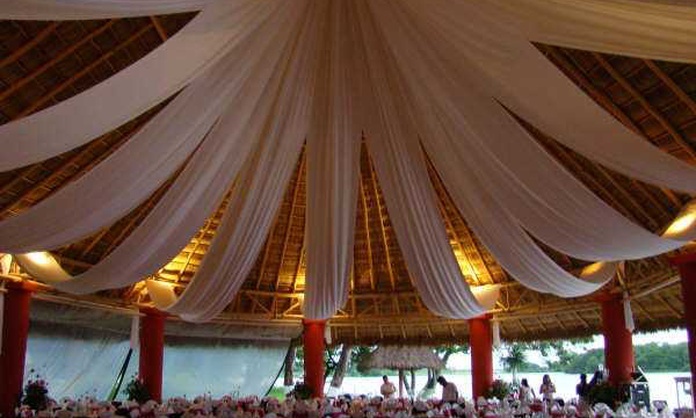 The 600-square-metre Palapa meeting room is the largest room of our business hotel in Coatzacoalcos. 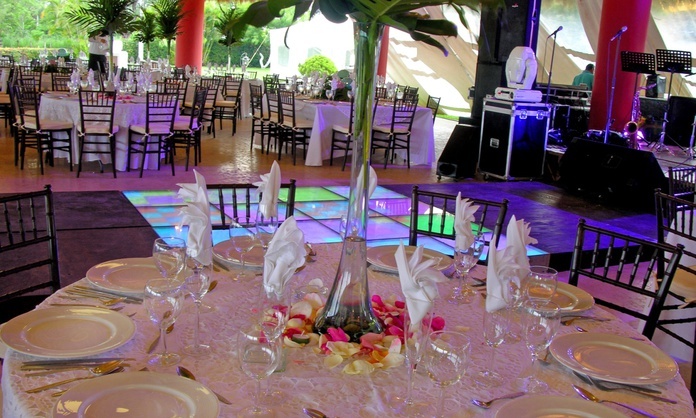 It offers an unbeatable view to Calzadas river and it is perfect for the organization of large events, weddings, anniversaries, awards ceremonies, large conventions… The best place of the region for the most important events. 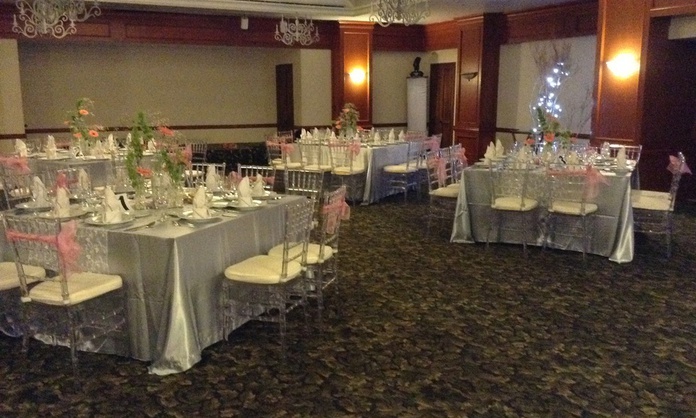 The Terranova meeting room can be divided into 3 rooms with movable walls and it has a maximum capacity for 450 people in the cocktail layout. 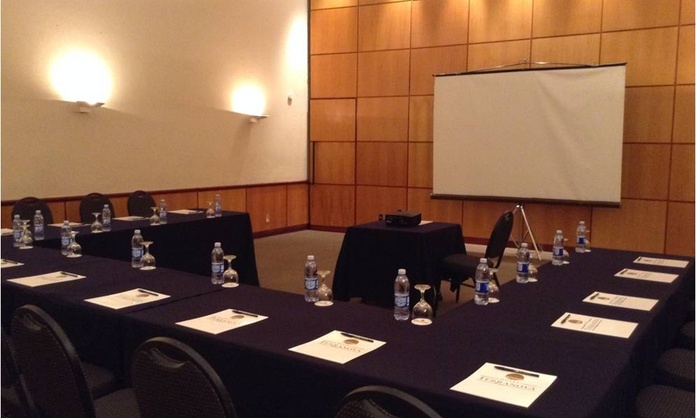 Versatile and adaptable, it is also recommendable for large conferences, business meetings and training sessions in Coatzacoalcos. 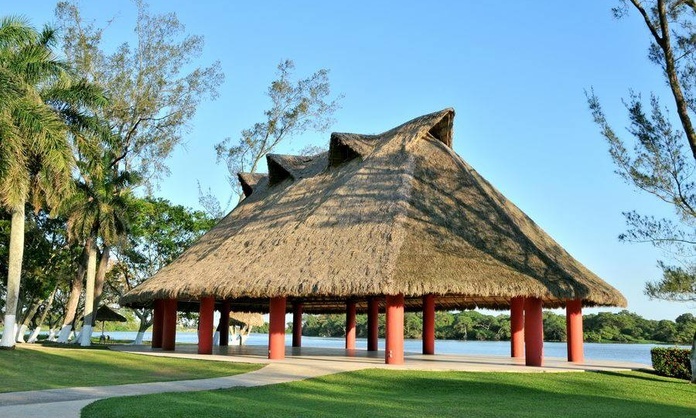 The 90-square-metre Palapita meeting room stands out for its views to the river, the gardens and to the area of the mangroves that surround the hotel. 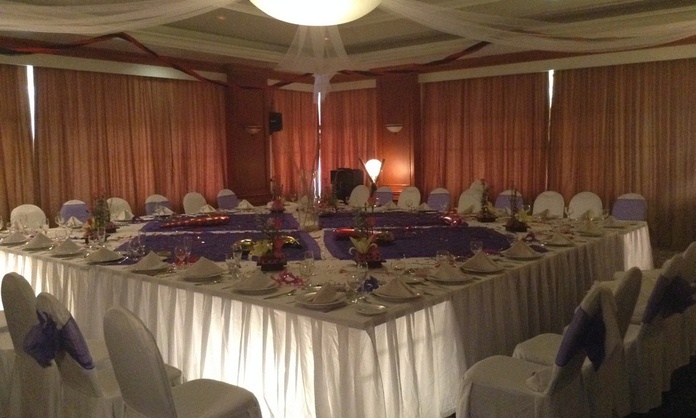 It is perfect for all type of events and banquets, it is a versatile room equipped with the best technological equipment.